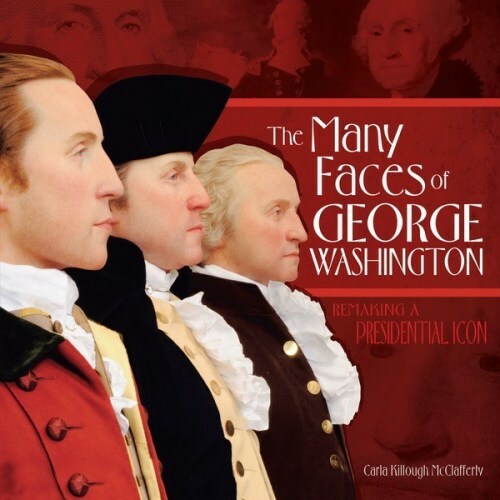 The Many Faces of George Washington: Remaking a Presidential Icon by Carla Killough McClafferty. Grades 6-10. Carolrhoda Books, 2011. 120 pages. Review copy provided by my local library. Millions of people only know George Washington's image from the portrait printed on an American one-dollar bill, but is that really how he looked? What to do? The Mount Vernon Ladies' Association decided to create life-size figures showing George Washington at the ages of 19, 45, and 57. Uncovering the real George Washington would prove to be a real challenge, from researching his bone structure without disturbing his bones to hand-sewing authentic clothing and even recreating his horse. Interspersing passages about important events in George Washington's life with passages about the research and artistry behind creating the figures, this well-crafted book will appeal to young historians. Full color photos show artifacts from Washington's life and the artists and historians researching and building the figurines. If anyone picks up this book expecting to find dry information about a stodgy dead president, they will be pleasantly surprised to find a thrilling account of the adventurous, take-charge patriot. This is not your dollar-bill president. The back matter included in the book is excellent, including an index, timeline, selected bibliography, and many resources for further reading. Pair this book with Jim Murphy's excellent book The Crossing: How George Washington Saved the American Revolution for riveting reading on one of our founding fathers. Check out more reviews from Jennie at Biblio File and The Nonfiction Detectives. The Many Faces of George Washington is on shelves now. And Happy Nonfiction Monday! This week's roundup is at Simply Science, so head on over there and check it out!